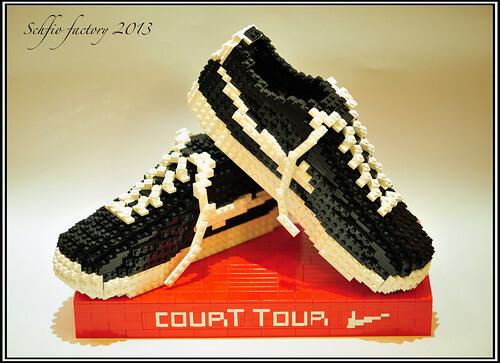 Flickr user Schfio makes excellent use in a "studs out" technique to render these Nike Court Tour shoes perfectly. Seriously, take a step back from your monitor and squint, it's just a pair of shoes! Nice SNOT lettering on the base too.